What's the most popular part of a wedding? For many people, it's the reception. In recent years, in fact, there's been a rather revealing trend: couples are spending more on the reception, and less on the ceremony. Another recent trend is the growing popularity of outdoor wedding receptions. It's a great way to escape the ordinary and boring. As one professional wedding planner noted, "Everyone loves the outdoors on a glorious day." 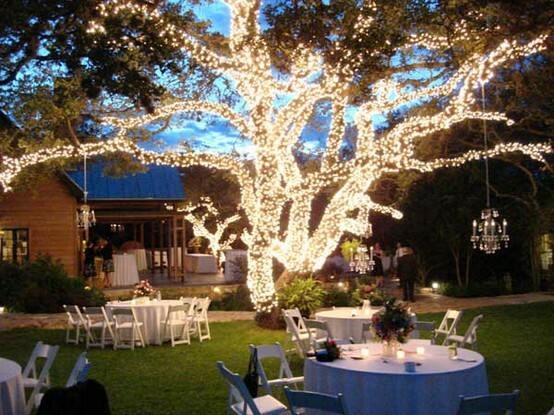 But an outdoor wedding reception can be made even more special with lighting that's perfect for the purpose. 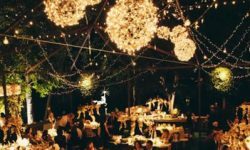 Here's an overview of 5 of the best and most popular types of lighting for outdoor wedding receptions. Nothing can emphasize the unique distinction of an outdoor wedding reception more than wrapping trees in lights. A stately and massive oak wrapped in a brilliant, shimmering garb of sparkling lights - what indoor reception décor could possibly compete? In general, smaller bulbs are considered more suitable for this purpose; 5 mm Wide Angle Conical bulbs are particularly popular for wrapping trees. And don't worry: Wrapping trees in lights is not difficult. You just need to know the proper methods for doing so. Many outdoor settings for wedding receptions are rather expansive. There's lots of room. That's one of the many advantages of an outdoor reception. But in truth, a large, spacious area can also be a bit tough to tame and organize. Curtain lights can serve brilliantly as a way of bordering and segmenting an outdoor space. 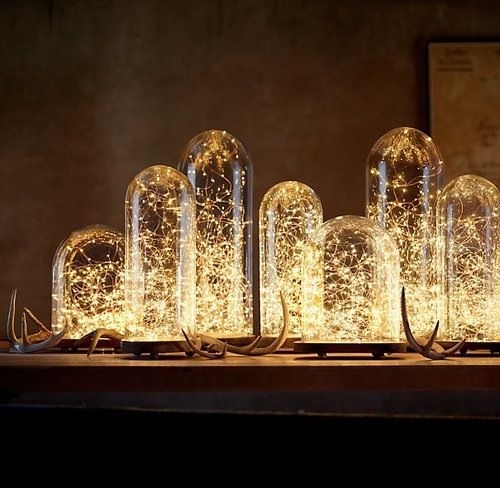 Also called patio string lights, these lights will add a very elegant touch to your wedding reception. These lights are modern LED bulbs, but they offer a retro look that is very popular. Imagine yourself transported to a charming little open-air French bistro. Those lovely overhead lights providing a warm and cozy feel? 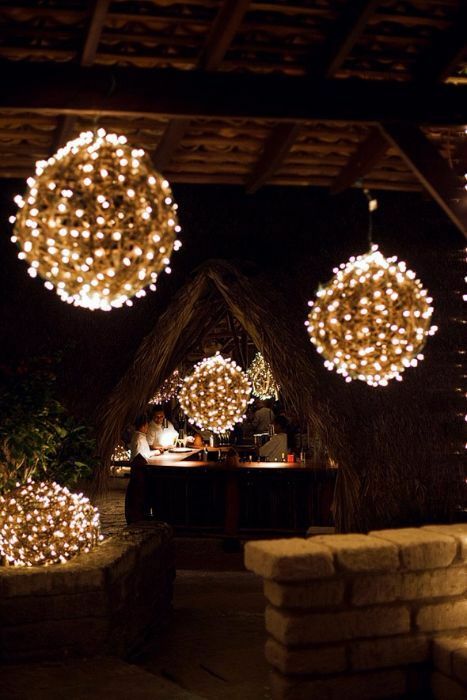 Globe string lights! And they'll provide the very same ambiance for your outdoor wedding reception. What are Holispheres? They're fun. They're entertaining. They're over-the-top. They're understated elegance. In short, Holispheres are whatever you want them to be. They're wonderful when used as décor for an outdoor wedding reception. But once the wedding is over, don't store your Holispheres away too deeply in the attic or closet. You'll want to get your hands on them again soon, because there are so many occasions just perfect for Holispheres. 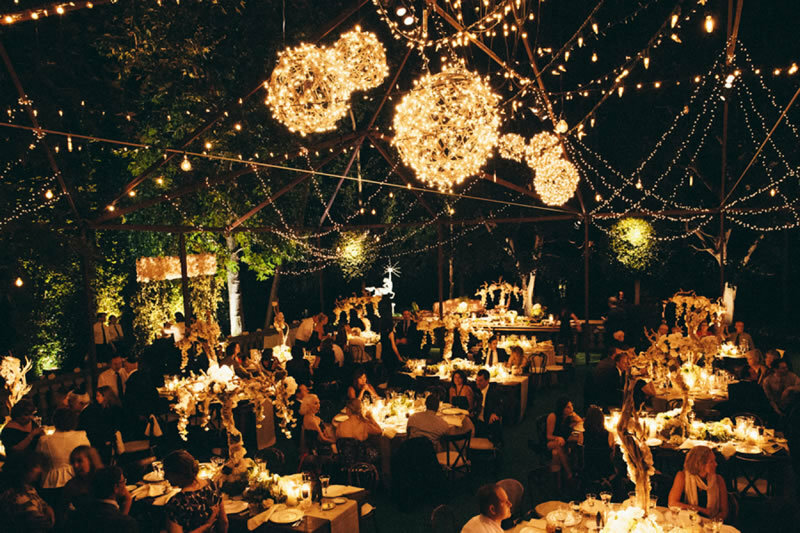 What better way to create a storybook feel to an outdoor wedding reception than with fairy lights? 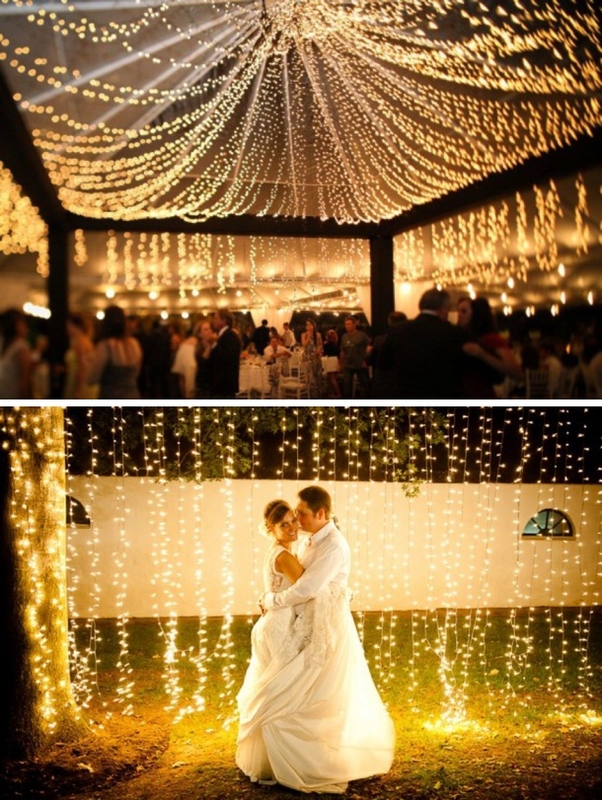 There are so many ways to use fairy lights to lend an aura of magical mystique to your reception. And by creating your light designs using battery-operated micro drop LEDs, you'll avoid the entanglement of relying upon electrical cords and outlets - a distinct advantage for outdoor decorating. If you're planning an outdoor wedding reception, then the more ideas you have to draw from, the better. 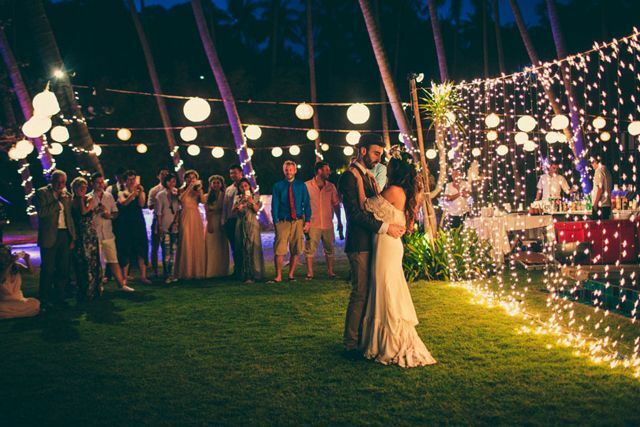 We've listed some of the most popular types of lighting for outdoor wedding receptions above. But you might also be interested in exploring our article offering dozens of ideas for using those wedding reception lights. 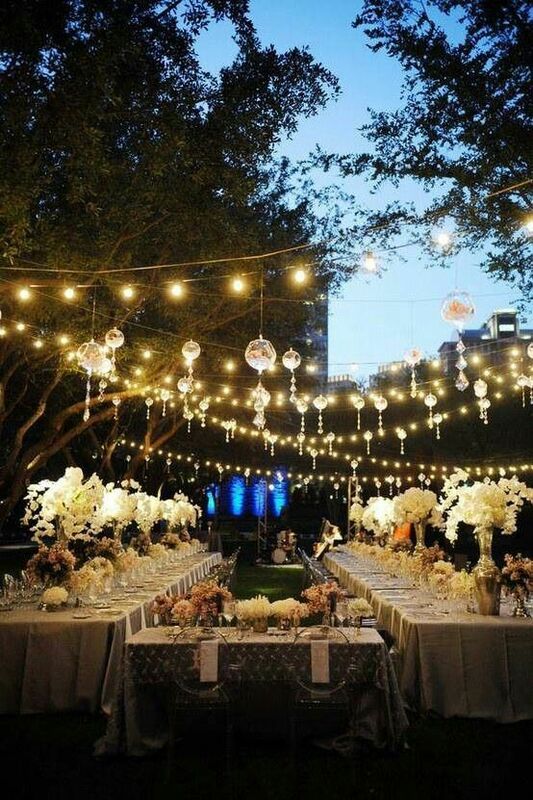 After all, when you're planning an outdoor wedding reception, the more bright ideas you have at your fingertips, the better!